As one of the most charming islands of the Mediterranean, Ibiza is well worth a visit for a wonderful family holiday, with its countless cute bays, cultural old town and numerous activities. In addition to the beautiful beaches, the crystal clear sea water and the green hiking trails, Ibiza has a lot more to offer for a relaxing and exciting holiday with your family. Numerous attractions make a holiday on the magical island a real discovery tour for children and parents. 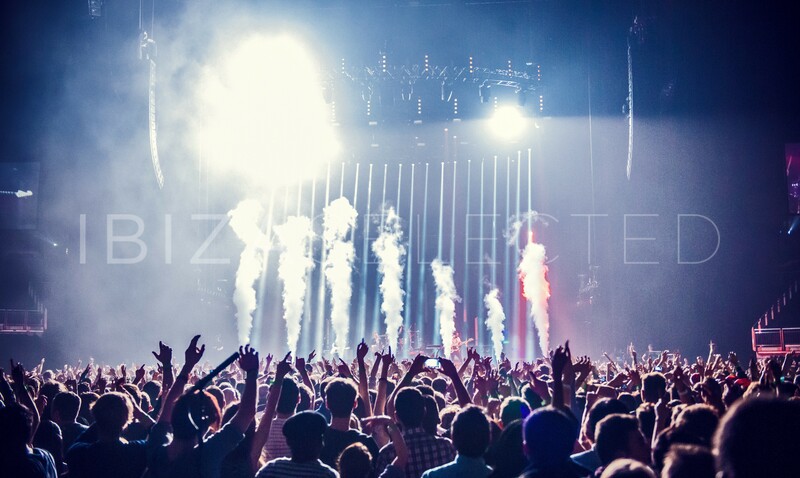 So it’s definitely worth getting to know Ibiza with the slightly calmer facets beyond the famous party beaches. Here are a few tips on the most family-friendly places and child-friendly activities on Ibiza. 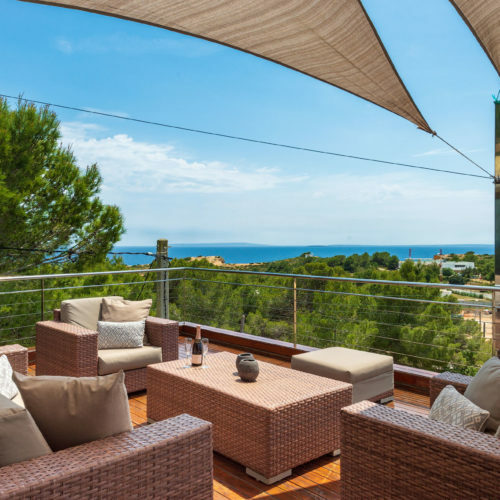 The best and most quiet areas for families are Santa Eularia, Es Canar, Portinatx, Cala Vadella, Cala Llonga and parts of San Antonio. Santa Eularia is located in the southeast of the island and offers next to its luxurious marina several spacious stretches of fine sand. Cultural feature of the place is the Puig de Missa, a hill and a typical Ibizan fortified church on top. Next door you will find a museum reminiscent of the rural life of yore. Also a small shopping street and a waterfront promenade invite you to stroll and enjoy. In the middle of the city, there is a wonderful place with palm trees, which invites you to linger. 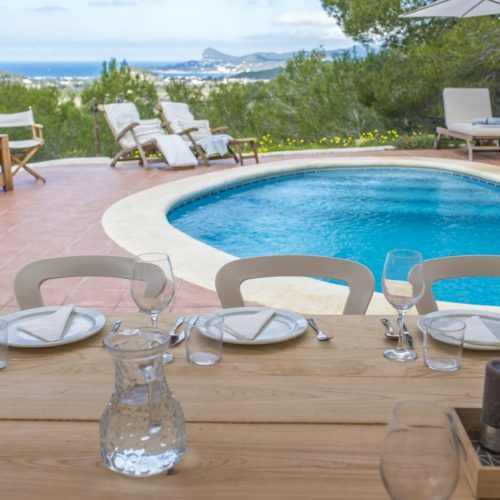 Es Canar is located in the east of Ibiza and offers everything that fits perfectly to a beach holiday with the fam. Relaxation, sport and fun come first here! Es Canar is small; but nice and very idyllic. In addition to the beach surrounded by palm trees with fine sand, the small resort offers a variety of water sports. Diving, windsurfing, kitesurfing and parasailing show the wide range around the Es Canar area. If you want to explore the area, sit down for a panoramic tour through hidden bays and small villages in the excursion train. Even the shopping-enthusiastic family members will not miss out on a visit to the traditional hippy markets Punta Arabi or Las Dalias. Just between Santa Eularia and Es Canar is the Acrobosc climbing park in the middle of a pine forest. The climbing park offers for every age group an exciting course depending on ability and age. It guarantees fun and thrill for young and old. Portinatx is located in the quiet, but beautiful north of the island. The tranquil resort offers everything a family could need for a relaxing holiday together. There are three wonderful beaches that are well equipped. The water is crystal clear and provides the perfect base for snorkeling or diving. The gently sloping water is ideal for families with children. The kids have fun and the parents can relax. The landscape of the north is spectacular with its numerous bays and rocks. There are even some beautiful hiking trails, which will be a great discovery tour for the whole family. Especially worthwhile is a walk to the allegedly highest lighthouse of the Balearic Islands. The Punta Moscarter lighthouse, which is 52 meters high and was built in the 70’s, is still in operation today. Cala Vadella is a bay in the southwestern part of Ibiza. The bay is reached by a beautiful cliff road. Already the drive to the bay offers breathtaking views of the pine-covered hills, which are also excellent for hiking. The beach is wide and gently sloped, so ideal for swimming for families with children. Like most places on the island, the Mediterranean waters are crystal clear and perfect for scuba diving and snorkeling. Cala Llonga is located south of the town of Santa Eularia in the direction of Ibiza Town. The small idyllic village lies in the hilly pine forests and offers a beautiful bay for swimming or other beach and water activities such as beach volleyball or pedal boating. And for children there is an amusement park in the middle of the sand for playing. The beach is only slightly sloping and offers enough space. And there are plenty of restaurants and cafes on site. San Antonio is one of Ibiza’s most famous resorts and is located on the west coast of the island. The lively atmosphere here is contagious and makes you want to enjoy the various activities that are offered here. Absolute highlights are the wonderful sunsets. 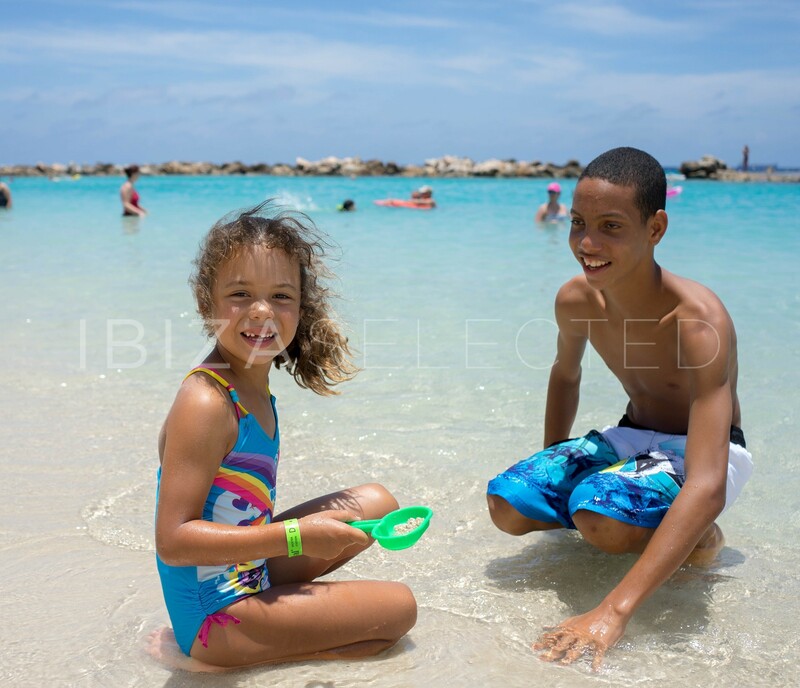 In addition to the main beach of San Antonio, the smaller bays nearby are more recommended for a family vacation. These offer peace and a relaxed atmosphere far away from the party guests of the island. Es Puet and Cala Gracio are coves on the west coast and are beautiful and child-friendly bays, such as Cala Conta. For the active families there is nothing to be desired here, as almost everything is possible to check out here: from boat trips and water sports, to jet skiing, surfing and parasailing. For families, it is advisable to choose the accommodation not directly in San Antonio, as it can get quite noisy there. The best way to discover the nature of Ibiza is by going on a hike. The hiking trails along the coast are ideal for that. The most beautiful view of the sea and the mystical rock Es Vedra offers the trail around the tower on the Punta de Savinar. Years ago, built to protect the island from pirates, it is now one of Ibiza’s most beautiful observation decks. Es Vedra is a nature reserve and absolutely uninhabited. A legend says that the rock protruding from the water is a last visible part of the sunken city Atlantis, which you can find next to Es Vedra. The port of Ibiza, with its pompous yachts and cruise liners, astonishes both children and adults. From the harbor you can go by ferry on a day trip to Formentera, the daughter island of Ibiza. Formenteras pristine white beaches are great for exploring by bike for the whole family. Or after a stroll through Ibiza Town, treat yourself with a refreshing snack in one of the small idyllic restaurants or sweet ice cream shops in the old town. The children’s eyes will radiate at the sight of the colorful ice cream! From here you can make a detour to the chivalrous Dalt Villa, which belongs to the UNESCO heritage, through the small quaint streets. Do not miss a visit to the small fishing village of San Miguel in the northeast of the island. The small village is beautiful and a cultural treasure. Here is also the Cova de Can Marca, a stalactite cave which offers the perfect cooling in the hot summer months and it is a huge adventure for children. A trip to the Cap Blanc Aquarium in Sant Antoni de Portmany is also perfect for a family holiday with children. The aquarium lies in a natural cave and creates a breathtakingly authentic atmosphere. There are turtles, lobsters, rays and even cat sharks to observe. If you’re more into action, the Aguamar Water Park at Playa d´en Bossa is just the ticket. This is something for everyone. Small and big! The water park is located near the hotel complex of Ushuaia and is easily reached by bus. If you drive from Playa d’en Bossa even further in the southernmost part of the island you end up at a beautiful sandy beach. Las Salinas is THE family beach in Ibiza. With the fine sand, outstanding sandcastles can be built. Also for swimming in the sea, this beach is ideal for children as it goes very far and flat in the sea. For the physical well-being, the restaurants provide nice meals directly at the beach. In general, Ibiza is indeed a very family-friendly island, contrary to its reputation. Children and families are more than welcome and the island offers many activities and opportunities to make your family vacation just perfect. On the most beautiful island of the Balearic Islands, nothing is to be desired, for the young and old. 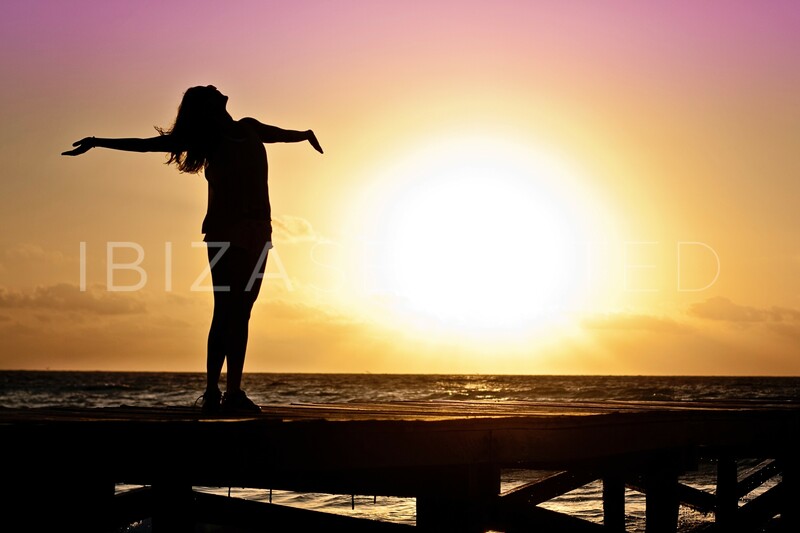 It is advisable to pay attention to choose one of the above mentioned quiet and family-friendly areas for the accommodation, then the family holiday in Ibiza is guaranteed to be an unforgettable experience for the whole family.